Surabhi Mudra is useful to cut all the bad effects three doshas.Due to its impact on all the three doshas, it’s also called as tri-dosha. Due to its impact on all the three doshas, it’s also called as tri-dosha nashak mudra.This mudra has a unique property of balancing all the five elements in the body; this mudrā has directly equal to Samaan mudra. Surabhi means cow, in Indian mythology, there is cow kaamadhenu which fulfills all the wishes.This mudra is that much help full to maintain good health and this mudra is called as Kaamadhenu mudra. 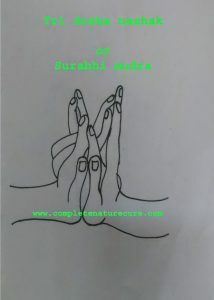 This mudra is not that much easy to do like other mudras.Look at the picture and read the description clearly. This mudra is formed by joining the tip of the ring finger of each hand to the tip of a little finger of the other and the tip of the index finger of each hand to the tip of the middle of the other.This forms a figure that resembles the four udders of a cow. 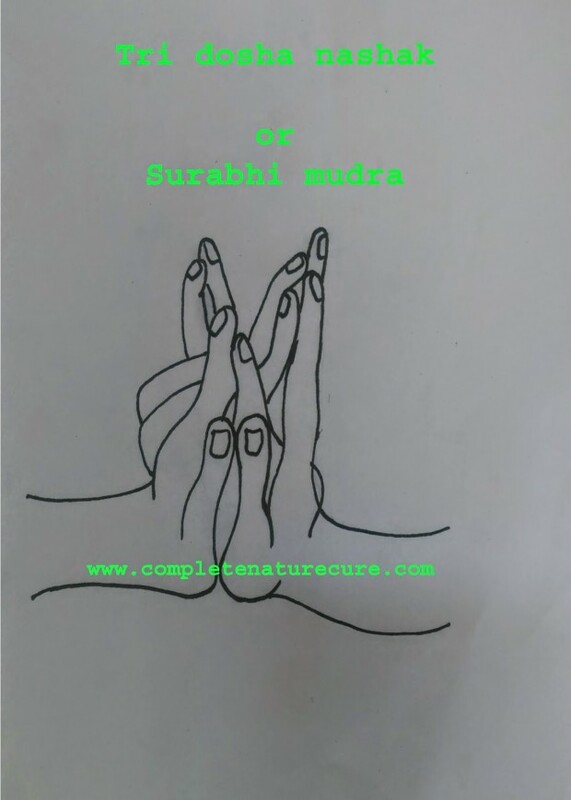 30 minutes of regular practice is enough to get good results of this mudra.You can do it any time or any position.It is preferable that early hour of the morning or in meditation to get the best result. Anyone can do this mudra to lead a disease free life.